Journalists can use motorbikes with the stickers of Election Commission (EC) during the voting day in a bid to collecting news. Asadul Haq, deputy director (public relations) of the EC revealed this information while talking to journalist on Thursday. He also said the vehicles used to distribute newspapers do not need to seek approved stickers of EC for Plying on the voting day. 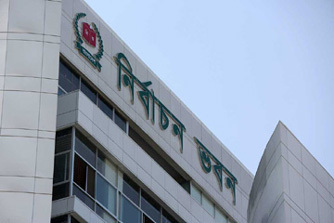 Such a decision comes a day after the Editors’ Council urged the commission to ensure free movement of journalists’ vehicles for three days from December 29 to 31.